From its inception in 1992 with one used dump truck and little to no working capital, Phyllis Adams has built Phylway Construction, LLC into a successful multi-faceted construction company. Phylway is a shining example of the philosophy behind the state of Louisiana’s Disadvantaged Business Enterprise (Woman-Owned) program. 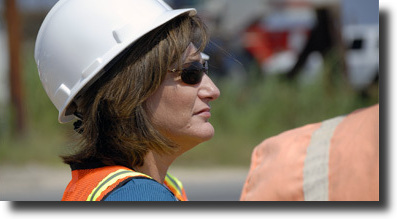 Having participated in the program, Phylway grew from a small DBE firm performing various types of earthwork, utility, storm clean-up and public works projects to a large business constructing over 270 Million dollars in US Army Corps of Engineers flood control projects since 2009 amongst other heavy civil, site work, and utility projects for other entities. This growth and success truly shows how well the state’s DBE program works with some good old fashion hard work and determination.